They went to London from one of the most deprived regions of the world. It was in a way appropriate that they arrived in the mercurial East End, an area of many lives, one that saw many nations come and go, one that collapsed and rose again, and knows something about reinvention. In the space of a generation they not only made their mark on East London but also transformed their land of origin, Sylhet. The British Bangladeshi narrative is a success story. But the road has been a rocky one. The first generation struggled against the sea and an alien environment. The second generation fought fascism. Today, the third generation faces challenges related to integration and identity in a post-7/7 world. Britain has changed, but so has the mother country. Almost seven per cent growth and an emerging middle class mean there are economic and social opportunities that can be seized. Straddling two cultures, the Bangladeshi diaspora in the UK may be uniquely placed to play a key role in Bangladesh's development. Today there are more than 8,000 Bangladeshi/Indian restaurants in Britain, employing 80,000 people with a turnover of £4 billion. The Chicken Tikka Masala has become so popular it has been dubbed the new national dish. Going out for a curry has become as British as the iconic black taxi or the red phone boxes. Brick Lane on the Eastern fringe of London has become England's curry capital. The British Bangladeshi community numbers 500,000 strong, and fully one-third lives in London, mostly concentrated in the borough of Tower Hamlets. There are sizeable Bangladeshi communities in Birmingham, Manchester, Newcastle and Bradford. 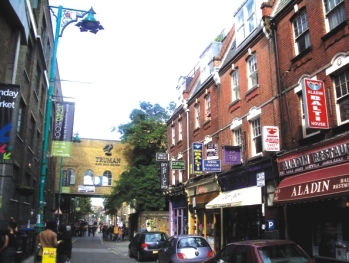 In recognition of the growing contribution and influence of the Bangladeshi community, Brick Lane and the surrounding area has been dubbed Banglatown. The street signs are in Bangla, and the lamp posts are painted red and green in honour of the Bangladeshi flag. It wasn't always like this. Changes in the immigration rules in the 1960s and 70s allowed people from the former colonies to seek work in Britain. The ex-seamen brought their kith and kin to work in the post-war boom. But it was at this time that racial violence grew. Skinhead gangs of the National Front roamed Brick Lane, beating up Asians. The government seemed apathetic, and so the Bangladeshi men and women were forced to form youth organisations to defend Brick Lane and the Bangladeshi community. At Brick Lane, many of the restaurants are run by Bangladeshis. Things came to a head on May 4, 1978 when Altab Ali, a young Sylheti, was stabbed to death while walking home from work. The killers left a note on the wall saying “We're back!” There was an outpouring of grief and shock. The Bangladeshis marched to Number 10, Downing Street behind Altab Ali's coffin. The government was galvanised into action. Liberal sections of society and human rights activists rallied against the racist violence. Gradually the skinheads were driven out of Brick Lane. A trade mission from the British Bangladesh Chamber of Commerce visited Bangladesh last month. This turbulent period was only the latest in Brick Lane's long history of immigration and complex race relations. Home to French protestant Huguenot silk weavers fleeing persecution in Europe in the 18th century and Ashkenazi Jews escaping pogroms in the 19th and 20th centuries, East End culture was shaped by wars, social upheavals, great fires, economic crises and fresh rounds of immigration, each time from places that seemed deeply "foreign" to those who had already settled in. This area had a reputation for wildness, and many of the more noisy and smelly industries like fabric dyeing, metal works, brick kilns and tanneries were located here, outside the old city walls. Brick Lane was Jack the Ripper's favourite stomping ground. The breweries of Brick Lane slaked London's thirst, and when the Great Fire destroyed much of London in the 17th century, it was Brick Lane's bricks that were used to rebuild the city. Nothing symbolises the area's endlessly shifting history more than the old red brick building on the corner of Fournier Street. 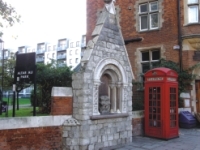 Built in 1742 as a French Huguenot Church, it became a Methodist Chapel, then a Jewish Synagogue. Finally, in 1976 it became the Brick Lane Mosque or Jaame Masjid. High up on the outer facade of the building is a throwback to the past: a sundial with an eerily appropriate Latin inscription “Umbra sumus” or “We are Shadows”. 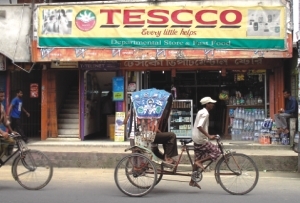 British Bangladeshi investments can change the course of our economy. Today, thanks in no small part to the contribution of the Bangladeshi community, Brick Lane is a trendy place. It is known not only for Chicken Tikka Masala, but also for chic boutiques, artists' studios, and vibrant nightlife. The famous Truman Brewery has been turned into a creative centre for designers, architects, artists, musicians, and entrepreneurs. Tower Hamlets is still one of London's poorest boroughs, and unemployment is still rife among Bangladeshi youth. But Brick Lane is undoubtedly a classic tale of immigrant success. British Bangladeshis are eager to invest in Bangladesh. East London is not the only area where British Bangladeshis have made their mark. The remittance sent by them has transformed Sylhet. Compared to Dhaka's urban sprawl, Sylhet is a tiny place. But it is a small town that packs a punch. Square mile after square mile, this might just be the wealthiest city in Bangladesh apart from Dhaka. Many other townships in the Sylhet region -- Maulvibazar, Beani Bazar, Biswanath, Goalabazar -- enjoy the same level of prosperity. Even the poorest can afford a tin roof over their heads. Rickshaw-wallas from other districts flock to Sylhet. There are high-rise buildings, glitzy shopping malls, flashy cars and motorbikes. The roads are good and the shops are well-stocked. 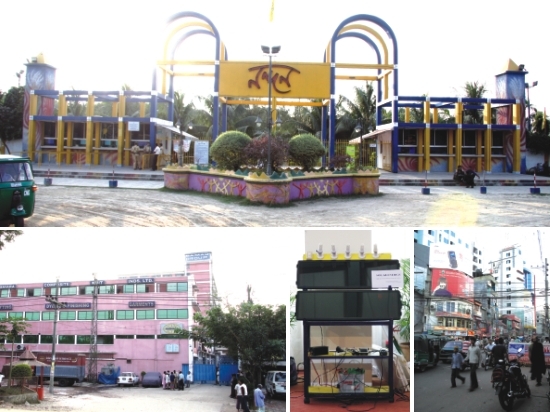 The shopping districts of Zindabazar and Bondor Bazar are buzzing with customers. There is an international airport and several airlines offer direct flights to and from London. The 'Londoni' connection is obvious here. There is a “Tescco” with the same font but with an extra “c”. There is a London Mansion and even a Bluewater Shopping Centre! Take a drive outside the city and you see sumptuous mansions dotting the rural landscape. These “Curry Palaces” stand empty most of the year. Critics call them ego trips, but to the restaurateurs who built them, they convey a powerful message -- an enduring symbol of a local boy made good. However, if we look beyond the remittance driven prosperity, there is cause for concern. 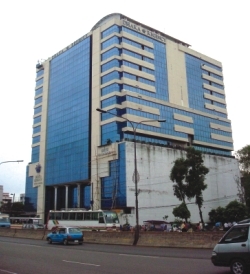 Sylhet does not have much else to sustain the economy. There are a few large industries and agricultural production is low compared to other districts. Where farmers in other regions grow three crops a year, most of Sylhet produces only one. This is sometimes due to lack of arable land and low fertility, but lack of interest in agriculture also plays a part. Remittance has been a blessing for Sylhet. But it has created a consumer society and imparted a gloss of prosperity that may not be sustainable in the long run. There is a view that although first and second generation British Bangladeshis sent a lot of money back to Bangladesh, there was a lack of emphasis on creating jobs and moving towards a sustainable development model. This feeling of insecurity and lack of direction may explain why most of British Bangladeshi money has been channeled into buying land and constructing pretentious buildings in Sylhet. This does little else except drive up the price of real estate. It is not that Sylhet lacks potential or resources. The region is rich in gas, stone and minerals. Sylhet's road, rail and air links are good. The region's proximity to the seven-sister states of India opens up the potential for trade. 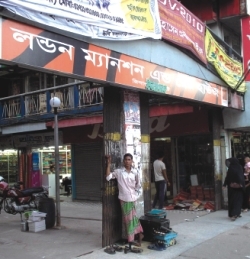 People in Sylhet are enterprising, and businesses don't lack startup capital. “It is the mindset that needs to be changed,” says Moinuddin. 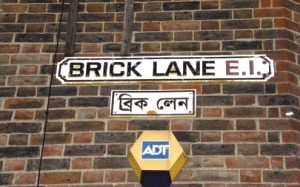 Street signs in both English and Bangla reflect the growing influence of the Bangladeshi community. That may be happening with the emergence of a new breed of businessmen. Part of the problem was the image that Non Resident Bangladeshis had of the mother country. Many British Bangladeshis went to the UK decades ago and apart from occasional family visits have had little contact with Bangladesh. As a result they have not always had a clear picture of the direction the country's economy has taken. For third generation British Bangladeshis the relationship with their ancestral land has been even more complex. Aftab Ali Park commemorates a young Bangladeshi killed in a racist attack. Whether their ambitious attempt succeeds or not, Matakin Ali and others like him represent a new generation of entrepreneurs who are asserting themselves in British Bangladeshi affairs. And they are increasingly looking at a more sustainable and mutually beneficial model when it comes to Bangladesh. They may have more than just money to offer. Countries like Taiwan, China and India are already looking beyond remittance and focusing on business-oriented models in seeking Diaspora contributions to development. Taiwan for example has pursued a “brain trust” model, based on skill transfer from the Diaspora. China has worked hard to attract direct investment and explore trade links through overseas Chinese communities. India has launched a multi-pronged Diaspora policy, pursuing direct investment, portfolio investment, technology transfer, market opening and out-sourcing opportunities. “NRB professionals can contribute a lot towards changing our work ethic and training the work force,” says Ayub Korom Ali. “We understand Bangladesh much better than European or North American experts.” In 2001, Mr. Ali was sent to Sylhet by Tower Hamlets council to lead an urban waste management project called “Sylhet Partnership”. The project was a success and has left a lasting impact on Sylhet's waste management system. 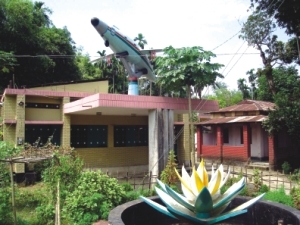 A 'Londoni' house in rural Sylhet. A lot of people talk the talk when it comes to investing in the mother country, but one of the few who have walked the walk is Musleh Ahmed, the young British Bangladeshi entrepreneur who set up the 5-star Dhaka Regency Hotel on the road to Zia International Airport. Musleh Ahmed along with two of his friends heads up the British Bangladesh Investment Group, which owns the Regency. With 400 rooms and 18000 square feet of restaurant space, the Dhaka Regency is enduring proof that diasporic investors can make it in Bangladesh. Musleh Ahmed believes that with growth slowing in North America and Europe, the time may be right to invest in Bangladesh. “But the government has to get rid of bureaucratic bottlenecks, and maintain stability and security,” says this transnational entrepreneur. Lack of policy and infrastructure support from the government is a common complaint. That may be about to change with the setting up of the Special Economic Zone (SEZ) in Sylhet. Unlike the EPZs, which are owned and operated by the government, the SEZ would be a public-private partnership, with much greater scope than the EPZs. The proposal could change the economic landscape of the region and has created strong interest among the diaspora. A large trade mission from the British Bangladesh Chamber of Commerce -- the apex body representing British Bangladeshi businessmen -- visited Bangladesh earlier this month with a view to assessing investment opportunities. Led by Shahagir Bakht Faruq, Chairman of BBCC and Abssar M. Waess, Director General of BBCC, the team met the President and the Chief Advisor before heading off to Sylhet to survey potential sites for the SEZ. Many of Sylhet's shopping malls are names after places in London. The UK is already one of the largest investors in Bangladesh with investments close to £1.5 billion pounds. Apart from British multinationals, prime examples of British Bangladeshi business ventures in this country include Seamark, Euro Foods, FCI, United Airlines, Royal Bengal Airlines, Nandan Park and Kushiara Composite Knit Industries. “Our aim is to further boost trade between the two partners, as BBCC is in a unique position to facilitate new export opportunities”, said Mr Faruq. These visits sometimes tend to be little more than annual rituals, but the saving grace this time was the presence of several third generation British Bangladeshi entrepreneurs. Most of the delegates already have substantial investments in Bangladesh. Iqbal Ahmed who received the Order of the British Empire (OBE) in 2001, owns the Seamark Group which has frozen fish processing plants in Bangladesh. Absar M Waess owns an agro-fisheries project in Maulvibazar. Emdad Ahmed is a director of the Probashi Palli being set up in Gazipur. Abdul Aziz Bari works for Symantec Corporation in London, and has considerable interests in the IT sector in Bangladesh. Ranjana embodies the dual nature of her heritage. She shows the tough independence and can-do attitude she learnt in Britain, but at the same time loves to wear a saree when she is in Bangladesh. Ranjana is eager and bright-eyed as she discusses the investment opportunities she sees in this country. “Health and tourism is where I see tremendous potential,” she says. It is the question of identity that will dictate how much interaction third generation British Bangladeshis have with Bangladesh. Their fathers and grandfathers harboured the “myth of return.” To third generation British Bangladeshis, Britain is their home. But Bangladesh will always be an integral part of who they are. It was economics that forged the link between Britain and Bangladesh. It may be economics that lures them back. These two regions have been interlinked and to some extent interdependent for centuries. That trend looks set to continue. With foresight, planning and a pinch of luck, the diaspora may be able to play a pivotal role in Bangladesh's development. This could be their finest hour yet. Acknowledgement: The writer wishes to thank Tim Sowula who works for the international development agency CAFOD in London for his invaluable contribution to this article.